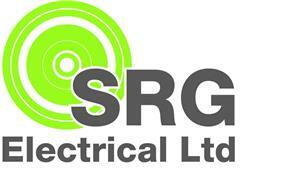 SRG Electrical Ltd - Electrician based in Purley, Surrey. SRG ensures that all our staff maintain up to date registrations and qualifications in all aspects of testing, installation and servicing. We can provide a full project management service through from design to after sales service installation and maintenance. Our team prides itself on optimum performance and technical proficiency. Covering areas within 100 miles of our base, we have built a considerable reputation within Greater London that wins us much work from recommendation alone. Whether it’s rewiring a house, factory or office, installing heating measures or testing an existing installation or installing automatic safety & detections systems, SRG Electrical can be relied upon to provide an excellent and reliable service. Our aim is to form long term relationships with our customers and never forget that you make a choice to use SRG. within M25, surrey, kent, hampshire, london, berkshire, sussex, middlesex, essex.